• Persistent USD buying interest keeps exerting downward pressure on Friday. • GBP further weighed down by the recent BoE dovish tilt and Brexit concerns. • A decisive break below mid-1.3400s might point to a fresh bearish breakdown. The GBP/USD pair extended its steady decline from an intraday high level of 1.3528 and is currently placed just above over 2-week old trading range support. In absence of any fresh fundamental development/economic releases, the pair's fall of around 75-80 pips could be attributed to resurgent USD demand. Following a brief pause earlier today, the US Dollarresumed with its upsurge to hit fresh multi-month lows and was seen as one of the key factors exerting downward pressure on the major. 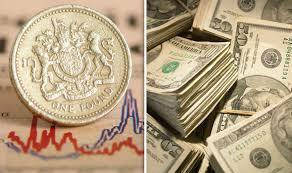 Meanwhile, the latest dovish BoE tilt, and reemerging Brexit concerns continued dampening sentiment surrounding the British Pound and further collaborated to pair's fall back to weekly lows, which if broken would confirm a fresh bearish breakdown, paving way for an extension of the pair's near-term bearish trajectory. A convincing break below mid-1.3400s is likely to accelerate the slide towards the 1.3400 handle before the pair eventually extends the downfall further towards the 1.3300 handle in the near-term. On the upside, any recovery attempts back above the key 1.3500 psychological mark might now confront fresh supply near the 1.3530 level and is followed by 200-DMA resistance near the 1.3555-60 region.